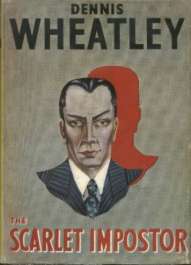 The Scarlet Impostor is the first of seven volumes incorporating all the principal events which occurred between September, 1939, and May, 1945, covering the activities of Gregory Sallust, one of the most famous Secret Agents ever created in fiction about the Second World War. When Gregory landed in Germany early in 1940 his task was to contact an anti-Nazi organisation ready to overthrow Hitler and sue for peace. Masquerading first as a German General, and then as an SS Gruppenführer, the extreme danger and difficulty with which he was faced made him doubt that he would ever escape from Germany again, surrounded as he was by some of the most vicious and determined Nazis of the Third Reich. in the rich atmosphere of London's Clubland – here is Dennis Wheatley at his thrilling best. a somewhat unusual detective force: the connoisseur Duke de Richleau, a husky American millionaire and a young man-about-town on a charge of matricide. the delicious young Lady Felicity and you have a sensational love-affair on your hands. 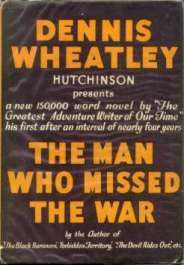 a dead body in a bath and go to tea with an old lady in Sussex, and you have a twist that only Wheatley can give to a first-rate crime story. How Sallust's colossal audacity takes him into Goering's private sanctum and later out of it as the Reichmarschall's secret emissary to Finland, makes only the start of a story as robust and hair-raising as any of the other best-selling novels by this most distinguished and successful author. In this exciting Scarlet Impostor story Dennis Wheatley takes as his background the seventy terrific days from Hitler's invasion of Norway in April to the surrender of the French in June. 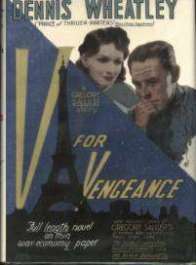 Gregory Sallust once more plays his part in adventure after adventure in Scandinavia, the Low Countries and right through France; his adversary on this occasion being the Black Baroness, the French associate of his old enemy Herr Gruppenführer Grauber. When the bombs fall on London the elderly Duke de Richleau considers a problem of the utmost urgency. What methods are the Germans using to discover – with sinister effect – the secret routes of the Atlantic convoys? His answer is bizarre and fantastic. The enemy are in touch with supernatural powers which can be overcome only by those who have the knowledge and courage to join battle with them on the Astral Plane. The Duke and his supporters face the terrifying challenge from the Powers of Darkness. In the battle-scarred days of 1940 Julian Day finds himself in Alexandria – in a whirlpool of intrigue and spy-rings. 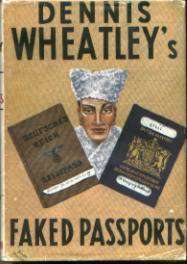 He falls under suspicion both from his fellow countrymen and the Germans. 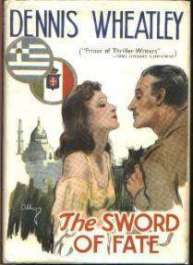 Driven by conflicting loyalties, he sets sail for Greece and the ill-starred campaign of 1941, and, determined to sheath the Sword of Fate, he journeys into the heart of enemy-held territory. The danger is desperate; the price of failure – death. 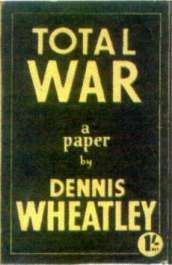 A condensed version of one of Wheatley's War Papers submitted to the Joint Planning Staff..
Collection of short stories by Dennis Wheatley. Uniform with Gunmen, Gallants and Ghosts (see below). 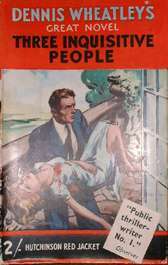 A revised edition with added stories was published in 1963. Stories and adventures from an intimate knowledge of the playground of millionaires and international crooks. 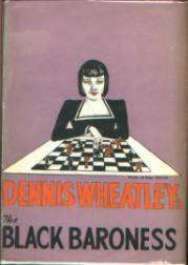 Collection of short stories by Dennis Wheatley. 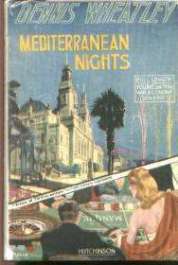 Uniform with Mediterranean Nights (see above). 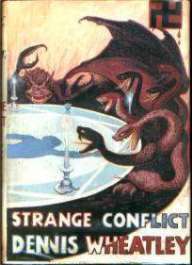 A revised edition with added stories appeared in 1963. Stories of adventure, crooks, spies and a mine of information about Black Magic by the Prince of Thriller Writers. Philip Vaudell leaves the United States on a solitary raft. Instead of drifting into European waters, he is carried down to the Antarctic where, amidst its eternal snows, he discovers a large area with a warm climate and populated by a lost race who still practise human sacrifice. With Philip was the other real trouble – in the enticing shape of red-headed Gloria, who had stowed away on his raft. Together they encounter perils in the true Wheatley tradition of adventure, rising to a terrific and truly satisfying climax.